MOSCOW, February 7. /TASS/. 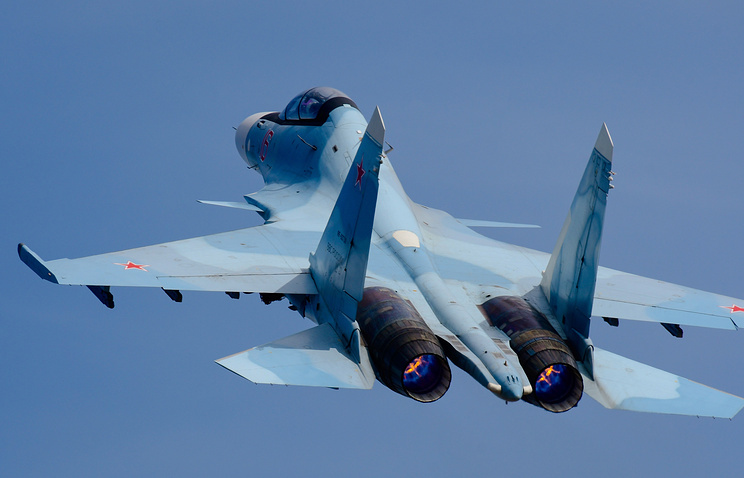 Fighter aircraft of the Eastern Military District have intercepted a "violator" of the airspace in the Primorsky Region, the Pacific Fleet’s press service reported on Thursday. "The crews of the multi-purpose pursuit planes Su-30M2 of the Eastern Military District’s aviation regiment carried out training fight missions during which they trained tasks on the night intercept of the mock enemy’s aircraft. During the practical part of the exercise the flight and engineer crews trained to act under a stand-to signal and prepare and deploy duty shifts," the report says. On the specified route the crews detected the notional violator plane ad trained elements of air warfare in pairs and in isolation. The pilots also trained to make "the violator" land and follow it to the specified airfield. The crews intermittently contacted the mock enemy's plane and sent special signals which meant demands to land. The MiG-31BM’s crew acted as a "violator."